The mere mention of Hawaii immediately conjures visions of a tropical paradise filled with thunderous waterfalls, pristine beaches, lush rainforests and off-the-map treasures waiting to be discovered. 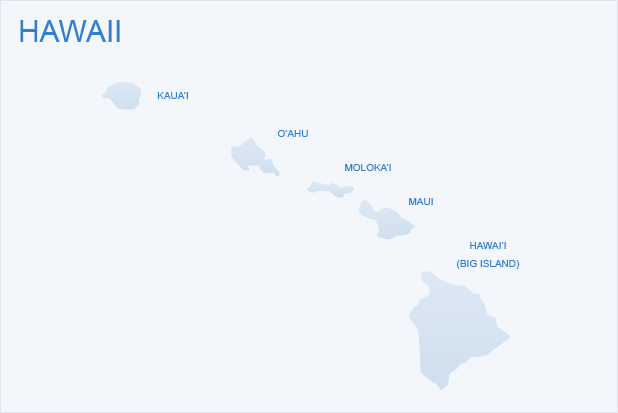 The state was formed by volcanic forces and is comprised entirely of islands floating in the Pacific Ocean. Each island offers something unique to its visitors, making diversity part of the beauty of a Hawaiian vacation. 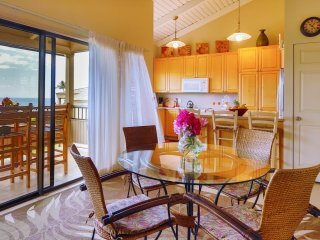 Whether it’s off the beaten path or in a city center, renting a Hawaii vacation rental is the best way for adventurers, romantics and families alike to experience Hawaii’s spirit of aloha. Hawaii has tropical climate for much of the year with daytime temperatures typically ranging from 75 to 85 degrees Fahrenheit. High season runs from mid-December to mid-April, when many visit Hawaii to escape colder climates, but the best weather occurs during late spring and early fall. You can often get great deals on Hawaii vacation rentals for these periods, but any time spent island hopping is heavenly. Hawaii: “The Big Island” has sights ranging from tropical rainforests to snowcapped peaks poking out around Mauna Kea. Its coast features white sands around Kohala, rare green sands at Papakolea Beach, and black sands at Punaluu Beach. 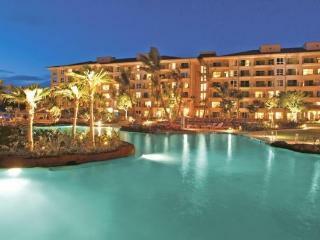 Maui: Maui features sparkling beaches, emerald fairways and jaw-dropping views. The Road to Hana winds along the northeastern shore offering spectacular sights and Haleakala offers equally ethereal views from above the clouds. Oahu: The most metropolitan of the Hawaiian islands, Oahu is best known for its capital city of Honolulu, the crescent-shaped Waikiki Beach, Pearl Harbor and the USS Arizona Memorial. Away from the island’s hub, Oahu has world-class surfing along the North Shore. Kauai: Kauai remains relatively undeveloped and its sights to see include the majestic Na Pali Coast cliffs and the heavenly Hanalei Valley Lookout. 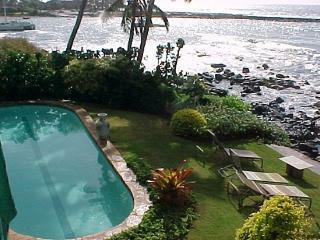 Vacation rentals are the perfect place to make a relaxing hideaway in the midst of Kauai’s untainted landscape. Molokai: Molokai has welcoming residents and simple beauty marked by rural lands and crystal-clear waters. On land, dirt roads lead hikers to Kalaupapa National Historical Park while the surrounding ocean has Hawaii’s longest continuous fringing reef. Lanai: The smallest inhabited Hawaiian island, Lanai is free from typical tourist traps that plague other vacation spots. Things to do here include spotting spinner dolphins from a perch along Hulopoe Bay or hiking the Munro Trail for some of the most breathtaking views. Attending a luau is a must for visitors to Hawaii. Featuring a feast of delectable foods, twinkling tiki lights and mesmerizing hula dancers, families will love the traditional experience. For adrenaline junkies, there is no shortage of adventure. Swells of waves pound the shores waiting to be surfed, cliffs beckon to be jumped off of, and Hawaii’s cerulean Pacific waters beg for snorkelers to explore their depths. Hawaii is known for its delicious Asian fusion cuisine unique to the islands. Local favorites to try include Spam musubi, teriyaki chicken and ahi poke. Whether you’re interested in a dining experience with traditional, live entertainment or a delicious shaved ice treat on the go, Hawaiian cuisine has something for everyone. Don’t forget, no trip to Hawaii is complete without indulging in fresh local fruits like pineapples, mangos, and papayas. With its gorgeous beaches, welcoming culture, and fantastic sightseeing attractions, Hawaii is a popular vacation spot. Blissfully undeveloped in many parts, Hawaii vacation rentals are the ideal home-away-from-home after a day of soaking up sun. Whether you’re an adventure-seeking surfer, fresh-faced honeymooners, or a boisterous family Hawaii has something for everyone to love.